Wat is dit voor site? Wij zoeken de goedkoopste boeken op internet. The New Science of Metagenomicsvonden we het goedkoopst op Bol.com voor €0. We hebben gezocht in nieuwe en tweedehands boeken. Rechtsonderaan de pagina kan je het boek direct bestellen	via Bol	.com. Although we can't usually see them, microbes are essential for every part of human life -- indeed all life on Earth. 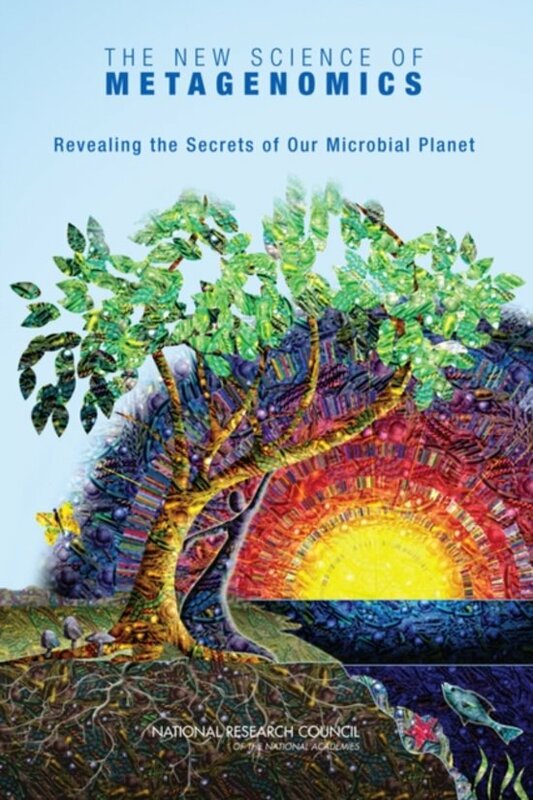 The emerging field of metagenomics offers a new way of exploring the microbial world that will transform modern microbiology and lead to practical applications in medicine, agriculture, alternative energy, environmental remediation, and many others areas. Metagenomics allows researchers to look at the genomes of all of the microbes in an environment at once, providing a meta view of the whole microbial community and the complex interactions within it. It's a quantum leap beyond traditional research techniques that rely on studying -- one at a time -- the few microbes that can be grown in the laboratory. At the request of the National Science Foundation, five Institutes of the National Institutes of Health, and the Department of Energy, the National Research Council organized a committee to address the current state of metagenomics and identify obstacles current researchers are facing in order to determine how to best support the field and encourage its success. The New Science of Metagenomics recommends the establishment of a Global Metagenomics Initiative comprising a small number of large-scale metagenomics projects as well as many medium- and small-scale projects to advance the technology and develop the standard practices needed to advance the field. The report also addresses database needs, methodological challenges, and the importance of interdisciplinary collaboration in supporting this new field.